Mrs. Avalon Hough wife of the late Stanley Hough passed away on January 17, 2019 at the Preeceville Health Centre. She was seventy nine years of age. Avalon Adrienne Hough was born to Edward and Novella Bentz on June 15, 1939 in Eastend, Sk. Avalon was the older of two children. She was raised on the farm in the area known as the Bench in The Cypress Hills. Avalon attended Armstrong Creek School and East Farwell School and was able to achieve her grade 8. She even had to board with her Aunt and Uncle in the Kealy Springs area to have this achievement. She rode miles on horseback to have Myrtle Armstrong help her with correspondence to achieve her grade 9 and 10. Avalon went to work on the Howard Ranch in the Ravenscrag area where she was a care giver to Mrs. Eleanor Howard for 9 years. It was on the Howard Ranch where she met her future husband, Stanley Lewis Hough, who came to work on the ranch as a cowboy. Avalon and Stanley were married November 8, 1961 in a double ceremony with her sister Darlene and her husband Donald in Maple Creek, Sk. Avalon and Stan were blessed with the arrival of their son Calvin Edward on October 18, 1963 and their daughter Monica Adrienne on December 30, 1967. Avalon and Stan had purchase their own place in Ravenscrag where the front of their house was the post office, so Avalon served as the Postmistress. Due to some misfortunes on the farm Avalon and Stan sold their place and moved to Val Marie, Sk. for Stan to work on a ranch and the hotel. They moved to Maple Creek, Sk. in 1974 where Avalon worked as a Dietary aide at the Cypress Lodge. The family eventually moved in 1977 to the Danbury, Sk. area where Stan had received the job as Pasture Manager on the Swan Plain Community Pasture and Avalon was the book keeper. Avalon was proud to mention that she had worked as a camp cook during the Woody Lake Fire in 1988. Avalon was a hard working home maker who grew a large garden and processed food for the family for the winter months. Avalon left the Community Pasture and moved to Preeceville, Sk. in 1995 the year after Stan passed away. Avalon's life was enriched by her grandchildren Colton, Connor, Tasia, Matthew, Shawn, Marlee, Kristen and her great grandson Maverick. 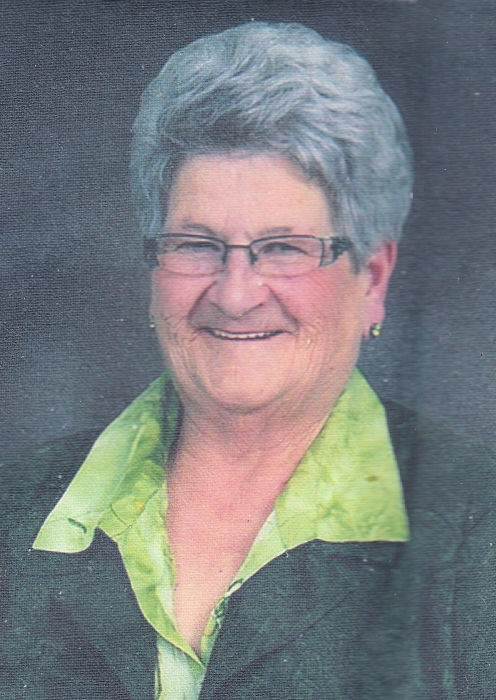 She enjoyed being a part of the United Church, singing in the choir, being a part of the Perogie grannies, being a member of Club 60, and socializing, volunteering and being active in her community. Avalon will be lovingly remembered by: her son Calvin (Karrie), daughter Monica Neu (Keith), her grandchildren Colton Neu, Connor Neu (Jordan), Tasia Neu, Matthew Hough, Shawn Hough, Marlee Molnar (Ryan), Kristen Hough, great grandson Maverick Molnar, her sister Darlene Bowles, nieces & nephews, great nieces & nephews and her brother in laws and sister in laws. Avalon was predeceased by her parents Edward and Novella Bentz, her husband Stanley Hough, and her brother in law Donald Bowles. Funeral Services were held on Tuesday, February 5, 2019 from Trinity United Church in Preeceville with Rev. Miles Russell officiating. The organist, Karolyn Kosheluk with members of the Trinity United Church choir led the congregation in the singing of the hymns ‘In the Garden’, ‘Just As I Am’ and ‘Here I am Lord’. Grandchildren, Colton, Connor and Tasia Neu served as the urnbearers. Honourary Bearers were grandchildren, Matthew, Shawn and Kristen Hough, Marlee Molnar, and great grandson Maverick Molnar. Interment will follow in the Point View Cemetery in the Ravenscrag District of Saskatchewan. Arrangements were entrusted to Preeceville Funeral Home. | 2nd Ave. N. E.